Here are my Tweets from the Wednesday session – August 29, 2012 – at the Hot Chips forum. I’ll have more editorial next week on this event. This “Dog Days of Summer” technology list is not to be read indoors! It’s the last of the “Dog Days of Summer” – down, Sirius, down! I’m not referring to the satellite-based radio station or even Apple’s Siri voice-recognition system – but you can ask Siri for help. Anyone reading this blog should really be outside enjoying the last of summer before schools start and people in the Northern Hemisphere return earnestly to work. 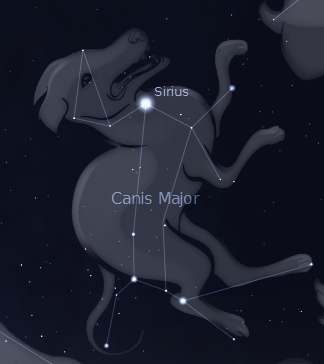 Sirius is part of a constellation called Canis Major – the Great Dog. Are you still here, trying to figure out where I’m going with this story? I’m going nowhere but outside. You should do the same. So grab your favorite tablet, find a shady tree to sit under, and select one of these fascinating stories for your reading pleasure. I’ll be doing the same. TGIF! What is your favorite future technology from a sci-fi story? Schrodinger’s execution box? A stasis box? Security First: New NIST Guidelines on Securing BIOS for Servers – OK, this might be a bit dull. But lately, there have been a lot of BIOS update pieces in the news. Here’s one that I covered on the PC side. 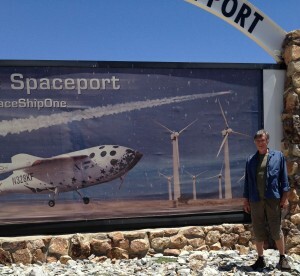 One potential location for a commercial spaceport - Mojave, CA. NASA’s latest X-series experimental aircraft – the X-51A – failed due to a familiar control-fin problem. But is poor system integration also to blame? What does the crash of NASA’s latest “X” series of experimental aircraft have to do with semiconductor intellectual property (IP)? Some would call the crash a failure related to a lack of system realization – a concept that expands semiconductor silicon design beyond mere chip design and the electronic-engineering discipline. Outside of the niche world of semiconductor design, “systems realization” is called “systems engineering” (SE). At the integration phase of the systems-engineering process, subsystem failures like faulty control fins should be caught – but sometimes go undetected. How will semiconductor vendors interact with others in the system/product supply chain to ensure that all subsystems work as intended? In this case, semiconductor vendors might supply both the electronics and the electromechanical motor controls for a system that’s similar in design to the X-51A. A quick check on Chipestimate.com under “control motors” reveals several vendors that provide electromechanical IP. None of these vendors are responsible for the failure of the X-51A. My point is: As semiconductor design embraces the larger system (“system realization”), integration problems across engineering disciplines and product design will likely become more numerous. 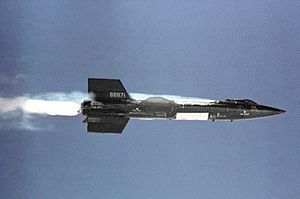 Granted, controlling the tail fins on an unmanned aircraft traveling at Mach 6 requires a more ruggedized and robust electromechanical motor system than the ones that are typically used for semiconductor applications (where small size, light weight, and low power consumption are the driving factors). Still, the basic design and algorithms are the same. Control-fin failures are unfortunate, but hardly uncommon – as I remember from my earliest days as an engineer. After college, I designed hardware and software data-acquisition and instrumentation systems for prototype flight and lab systems. I spent many years at several Department of Defense (DoD) research and development facilities – first at China Lake (in the desert) and then at Point Mugu (on the coast). Together, these two ranges form part of the largest flight test areas in the U.S. 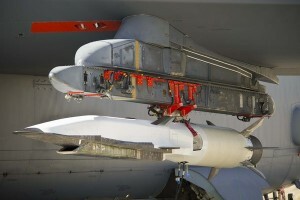 The X-51A’s control-fin failure occurred shortly after launch above the Point Mugu Naval Air Test Range. Here’s another career-related coincidence for me with this story: The X-51A hypersonic scramjet engine was designed by Pratt-Whitney Rocketdyne. I worked at Rocketdyne when it was still an independently owned company situated in a prime location in Canoga Park, CA. Back then, southern California was a mecca for aerospace and defense professionals. Now, much of the original Rocketdyne facility is a shopping mall. Was anyone as awestruck as I with this week’s successful flight of SpaceShipOne (SS1)? History has again repeated itself over the Mojave Desert as brave men toiled to send a rocket plane into the fringes of space. In an aircraft that looked remarkably like the Bell X1 – the first rocket plane to break the sound barrier back in 1947 – today’s SS1 reached a record-breaking altitude 328,491 feet (roughly 62 miles). This achievement made test pilot Mike Melvill the first civilian to fly a spaceship out of the atmosphere. Over the years since the X-15 flights, NASA has continued to explore ways to efficiently fly near the edges of Earth’s atmosphere with projects like the X-30 National Aerospace Plane (NASP). Sadly, this project was cancelled in the early 1990’s due to budgetary cuts and technical obstacles, e.g., scramjet engines (really cool technology but darn tough to build). But this critical model only works if the government is willing to spend money on R&D projects. Unfortunately, recent studies from the National Science Foundation indicate that U.S. R&D budgets have increased by only 1 percent between 2002 and 2003 after accounting for inflation. Further, since 2000, there has been little change in total U.S. R&D in real terms (constant or inflation-adjusted dollars). History has shown that technological advances lead to economic growth. But R&D drives major technology innovation. Can the US maintain it’s technological edge without continued investment in basic R&D? You are currently browsing the JB's Circuit blog archives for August, 2012.